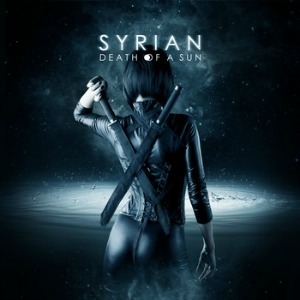 Kjetil Haugen Synthpop The Italian synthpop duo Syrian are back with their long awaited follow up to their five year old 'Alien Nation'. Back in 2002 they were picked up by the American syntpop label A Different Drum which released their debut album 'De-Synchronized' a year later. They were also signed to Infacted Recordings in Europe. 'Death Of A Sun' is their fifth album to date. And it's a bit of a mixed bag, but overall the album is a pleasant enough listen with a handful of catchy songs. The album has a elegant sound to it and everything is done according to the book (the album was supposedly recorded only with vintage analogue gear), but the songs ultimately becomes a little to anonymous and they are soon forgotten as the album comes to an end. Still there are a couple of songs who stick out from the the rest. "Runner In The Night" and "Dreaming" are two good tracks that you definitively will return to. Both have a great melody and a catchy refrain, giving them a classic synthpop feel. The Italian synthpop duo Syrian are back with their long awaited follow up to their five year old 'Alien Nation'. It's fair to say that they take a lot of inspiration from the 80's, from bands such as Alphaville and Duran Duran. Other than that there really aren't that much to get excited about, it's just one of those album that isn't bad but aren't that good either, but still quite a bit better than mediocre. This is a reviewers worst nightmare, you can't go on and on praising the album and you can't ramble on about how awful it is. You're stuck somewhere in the middle with little left to say other than it's a decent album but not much more. Still, if you're into classic synthpop, this album might be worth checking out.